Our Tax Fee Protection Insurance claims services include an on-line claims portal, QUBE. This enables you to make, manage and view your claims at the touch of a button. In addition your dedicated claims handler will be on hand to assist you with expert advice and guidance as often or as little as required. Whilst our on-line portal allows quick and efficient administration of claims, we will still pick up the telephone. We can talk you through the claims process and how the Policy will react and you can of course phone us if you need an immediate response. 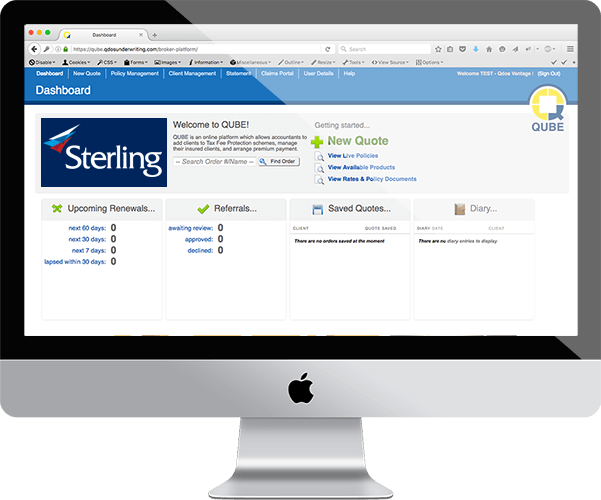 We fully appreciate that managing claims on-line is not for everyone, if you would prefer to deal with claims outside of our on-line claims portal you of course can. Apply the Policy terms and conditions in a manner that they would regard as fair if they were in your position or your client’s position. Apply the Policy terms in a consistent manner. Deal with claims within the prescribed turn-arounds. Explain fully to you how we have arrived at our decisions. We provide immediate pre-authorisation up to £1,000 over the telephone for any urgent cases and make payments electronically within 7 days. If you have further questions please take a look at Vantage Fee Protect fee protection insurance claims questions.